The annual Historical Romance Writers of the World convention in New York City is calling to Jacqueline Kirby, a Nebraska librarian who desperately desires some excitement. But all is not love and kisses at this august gathering of starry-eyed eccentrics and sentimental scribes. As far as Jacqueline is concerned, the sudden "natural" death of a gossip columnist seems anything but. And when she's approached by a popular genre star who fears for her own life, the resourceful Ms. Kirby quickly goes back to work...as a sleuth. There's a sinister scenario being penned at this purple prose congregation. And when jealousy and passion are released from the boundaries of the printed page, the result can be murder. The Perfect Package - Great book, great narration. 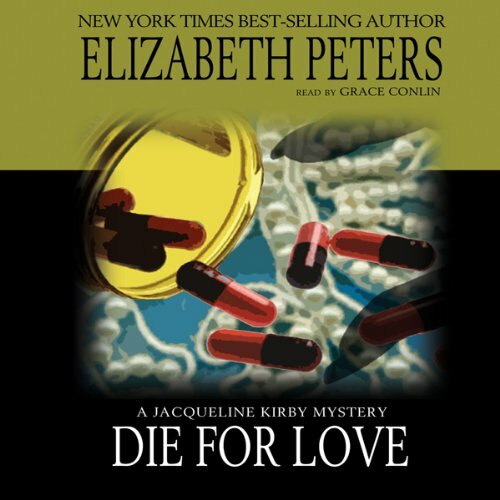 "Die for Love" is a treat, with great narration supplied by Grace Conlin. Because I'm an Amelia Peabody fan, it took me a while to venture out into the other books by Elizabeth Peters, but I'm glad I did. "Die for Love" takes place at a Romance Writers' convention, and Peters taps into the high level of absurdity available in that situation. 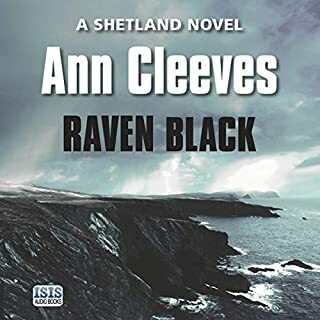 All of Peters' protagonists are gusty, self-assured women who don't hesitate to pursue whichever objective might capture their curiosity, and Jacqueline Kirby is no different. She is outrageous, outspoken, and delightful, and the cast of supporting characters are perfect foils for her pursuit of truth, justice, and a good meal (paid for by someone else). I'm partial to Barbara Rosenblat's narrations of Elizabeth Peters' work, but Grace Conlin does a capable job, capturing Kirby's witticisms and sarcasm. I thoroughly enjoyed the listening experience and recommend it! 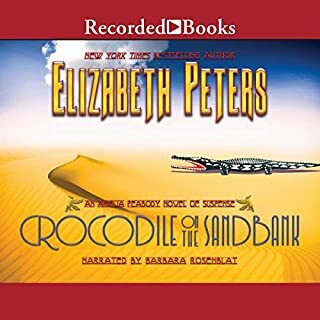 Elizabeth Peters is at her funny, charming best -- but the narration is terribly disappointing, especially when so many of Peter's books are read by Barbara Rosenblat! 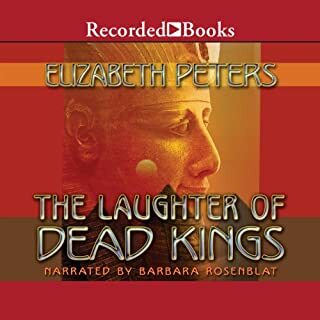 Audible needs to get the whole Kirby series with Barbara Rosenblat as narrator. The librarian/detective lead character is so arrogant that it's very difficult to like her. She dismisses or demeans all the other characters including her boyfriend. So - the story itself was convoluted. I didn't enjoy it. How can you go wrong with Ms. Peters writing, Grace Colin narrating, and Jacqueline Kirby as the "star"? I don't know if it is the first JK novel by Ms Peters but this is the start of her career as a writer of romantic novels. It is clever and has a fine mystery in the midst of the wonder that is Jacqueline and her purse!! I enjoyed it!! Absurd, silly, and a lot of fun! What happens when a lot of romance writers and wanna-be writers get together in New York? Lots of pink hearts everywhere, and a lot of cattiness. Jacqueline Kirby wants to get away from her dull librarian job in the mid-west, so uses the romance-writers convention as a tax-deductible excuse to hit the Big Apple. Along the way, she solves a murder, prevents another, and finds a new career! So absurd, you'll be laughing through the whole book! Grace under fire is the order of the day when Jacqueline Kirby returns, this time to sort out the ills and the ill-matched of a writers' conference for romantic novels. She is her same predictably unpredictable self and manages to find the solution to this mystery with a twist. 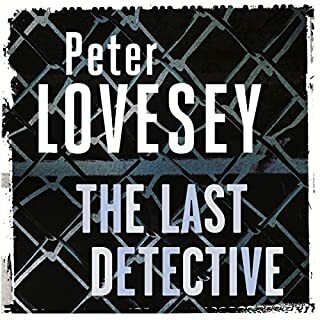 Peters' characters are quirky and satisfying and Conlin's narration, a great pleasure. She captures Jacqueline's nature with purring, yet brisk tones and gives the other voices individuality. It's a romp that races through cliches without becoming one. 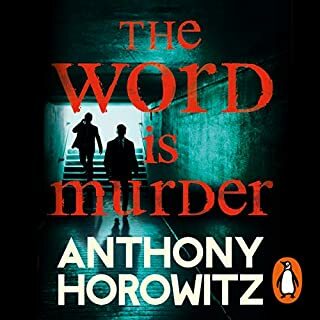 While not quite as unique as "The Murders of Richard the III", it remains a satisfying guilty pleasure and thorough enjoyment. 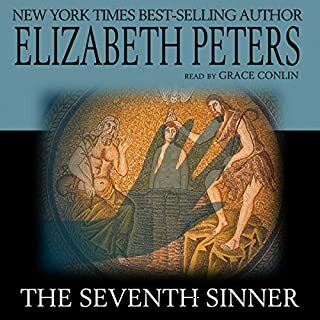 I love Elizabeth Peters, and this is one of my favorites, but the delivery is really dull and lackluster. oh I think I should read books for a living. I hate conlin. she is monotoned. you can't distinguish characters in a running conversation. characters voices constantly change. when will you stop using her or give us an alternative? I probably would have enjoyed the book more with another narrator. I only downloaded it because I loved naked once more, but of course Barbara rosenblatt narrated that. Just thought that this being the last Vickie Bliss book, it would go out with a little more excitement. I had really been looking forward to this book and was somewhat dissapointed. Still love Vickie B and her boss. He is truly a hoot.